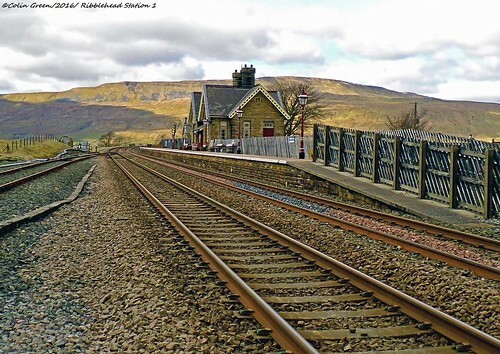 Ribblehead Railway Station can be found a short distance from the southern end of the famous viaduct in the scenic setting of the Yorkshire Dales. 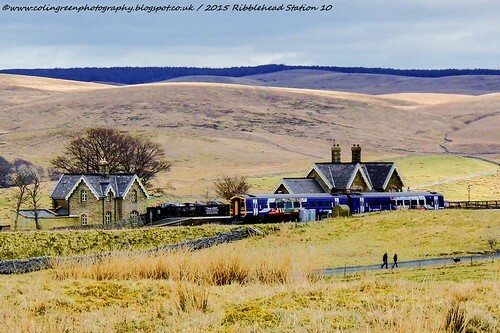 It was originally opened in 1876 on the Settle to Carlisle and closed due to low passenger numbers in May 1970. The north platform was then demolished to allow for a transfer siding to be built and the southern one fell in to disrepair. In 1986 British Rail reopened the south bound platform to passenger traffic, and in 1993 a new north bound platform was built and opened. Restoration of the buildings was completed in 2000 and they are now operated by the Settle and Carlisle Trust. There are a total of 21 pictures to view that are featured in 2 albums on Flickr and Clickasnap. They were taken using a Polaroid iS2132 bridge camera on the April 4th 2015. 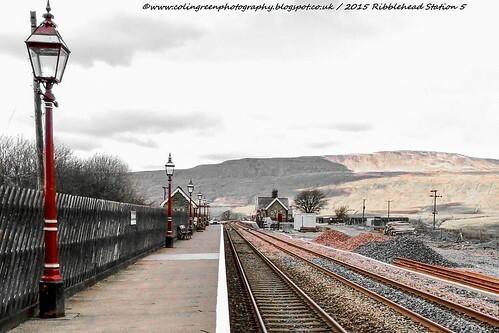 Platform 2 at Ribblehead Station. All 3 links open in another window and the pictures can only be seen on Clickasnap. Each View of over 10 seconds helps support my photography and blog. The world's largest, free to use, paid per view, photo sharing site.